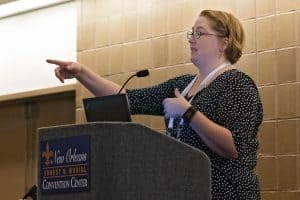 Hailley Fargo, student engagement and outreach librarian at Penn State University, University Park, and Dylan Burns, digital scholarship librarian at Utah State University, Logan, introduce their research on the emotions of library job seekers at the American Library Association Annual Conference and Exhibition in New Orleans June 25. Frustrating. Stressful. Long. These were the top three words mentioned by LIS job seekers when asked to describe their experiences seeking library work. Hailley Fargo, student engagement and outreach librarian at Penn State University, University Park, and Dylan Burns, digital scholarship librarian at Utah State University, Logan, would agree. 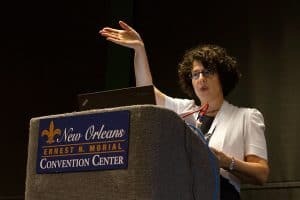 Similarly frustrating experiences inspired their research on emotions in the LIS job search, which they introduced in “Buried in a Dying Field: Pessimism, Uncertain Futures, and the LIS Job Search,” a session at the American Library Association (ALA) Annual Conference and Exhibition in New Orleans June 25. After Fargo and Burns endured the stress and competition of the LIS job market, they wanted to see if this experience was common, but found little research on job searches within LIS literature. 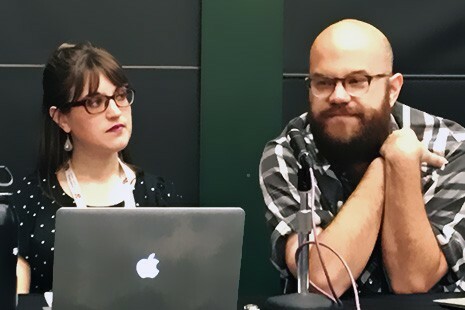 Their project responds to a familiar question: Is librarianship dying? 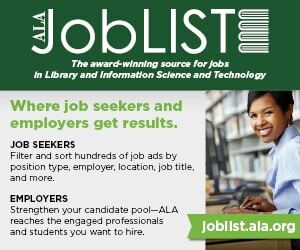 Blogs and think pieces suggest that one shouldn’t pursue library school, and that the number of available jobs is decreasing. 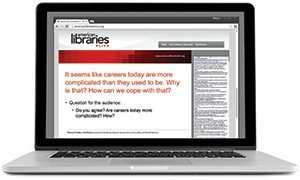 How does this perception impact emotions during the job search, and what are the common feelings among library graduates? The more than 900 survey respondents and 200 interviewees who participated in the study agreed with the researchers’ concerns, noting how stressful a long job search can be. Because it is so goal-oriented and self-focused, the job search is directly impacted by the seeker’s self-esteem and commitment. Burns added that “for people who are naturally anxious … it makes a difficult process even more challenging.” However, 71 percent of respondents still reported feeling positive about the field in general. Two early-career librarians, Annie Pho and Stephanie Molinaro, added a personal perspective to the conversation. Pho applied to 63 jobs before landing her first professional full-time position. She was often concerned by the lack of transparency in the job process. She encouraged job seekers to be proactive in following up on applications, and encouraged hiring managers to be specific when drafting job descriptions. During her arduous search, Pho used her student cohort network for encouragement, interview preparation, and resume review. Molinaro, who works part time in two libraries, uses her network within the library community to get advice and support from colleagues who have been through the job search process. She feels that what she’s learned from the experiences she has sought out, such as working with a mentor through Association for Library Service to Children and editing the Hack Library School blog, have been more useful than those provided by her program. KATE THOMPSON is an MLIS candidate at the University of Alabama in Tuscaloosa.